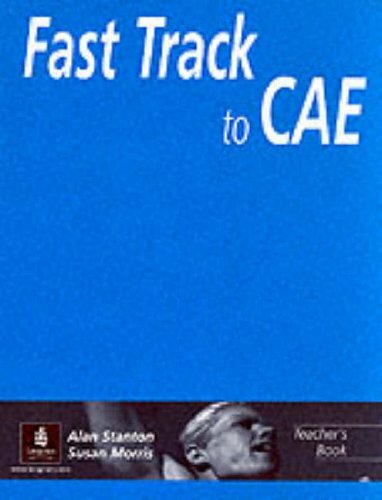 [PDF] Fast Track to C.A.E. : Teacher's Book | Free eBooks Download - EBOOKEE! Posted on 2018-01-21, by luongquocchinh. Description: This CAE exam-preparation course features 14 theme-based units which provide systematic training in all CAE exam tasks, plus up-front guidance in exam file boxes. The course employs a flexible unit structure to maintain student interest and provides systematic practice of collocations and verbs. No comments for "[PDF] Fast Track to C.A.E. : Teacher's Book".